Built to contract number 15527, and wheeled out of the production hanger on 20 November 1959. Delivered to No. 511 Squadron Royal Air Force Transport Command where she was accepted on 2 December 1959, serialled XM517 and named ‘Avior’. During XM517’s service she carried the livery of the Royal Air Force Transport Command, Royal Air Force Air Support Command and finally Royal Air Force. 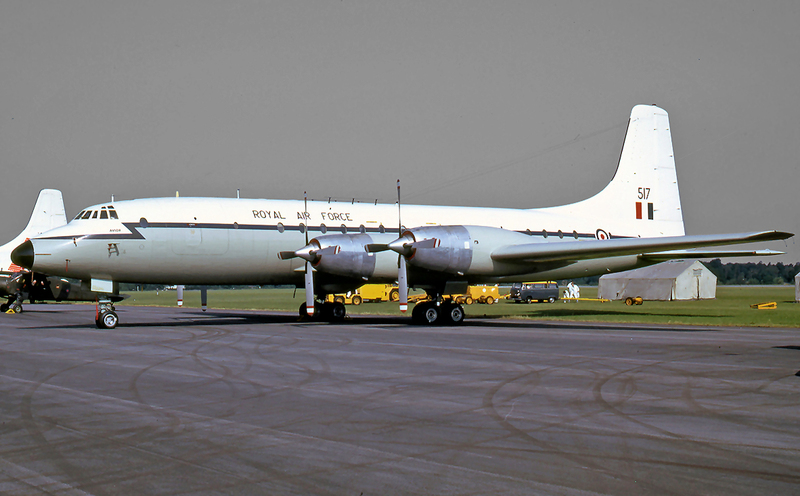 She operated within the Britannia pool at RAF Lyneham from 20 February 1961. XM517 was repainted by Marshall’s of Cambridge during October and November 1972 and flown to RAF St Athan in April 1975 after the disbanding of 99 and 511 Squadrons. By the end of August 1975, she had flown 18 898 hours and landed 8962 times. 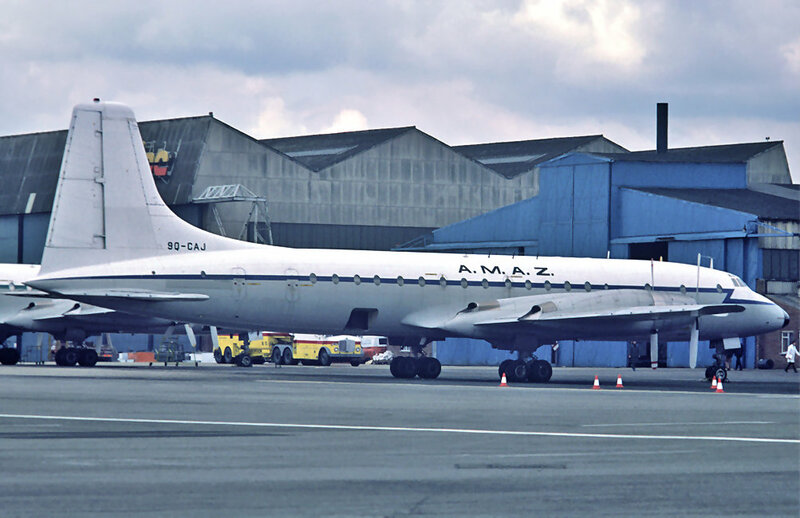 Sold to Monarch Airlines, she was re-registered 9Q-CAJ and marked in the titles of AMAZ (Agence et Messageries Aeriennes du Zaire) and delivered to the company in August 1976 in Brussels. Returned to Luton, she was registered again as G-BEPX for Airline Engineering Limited who purchased her on 14 April 1977. August 1977 saw the removal of the wings from out-board of the inner nacelles plus the rear fuselage. The title ‘Rolls Royce Proteus Test’ was applied and was used as a Proteus ground running test rig. In this form she was actually ‘taxied’, which according to one of the test crew ‘felt really weird’! The remains of G-BEPX were finally scrapped at Luton Airport during April 1980 with a final total of 19 204 flight hours and 9066 landings in the logbook.